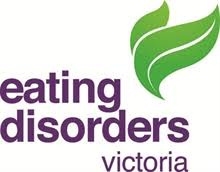 Eating Disorders Victoria connect those whose lives are affected by eating disorders with the people, services and hope they need for recovery. Whether you are worried about yourself, a family member or a friend, information is available on all types of eating disorders, early warning signs, treatment options, how to support someone with an eating disorder and much more. Call 1300 550 236 or (03) 9417 6598. You can call the Helpline anonymously on between 9.30am - 5pm, Monday - Friday. If you are calling after hours, please leave a message and your call will be returned. The Footscray Recovery Support Group is for people with an eating disorder who have already taken the first steps towards recovery but would like some extra support. You must be over 18 to attend, and not a current hospital in-patient or someone whose physical or emotional health is severely compromised. It is not a therapy group, but a peer support group for sharing experiences, discovering new coping strategies and stress management skills in a safe environment where you can enjoy the interaction with people in a similar situation to your own. Cost: $3, payable at the beginning of the session.